Mr. Vise aka. Mr. Fantastic, graduated from the University of Central Missouri with a Bachelors of Science in Social Studies Education, and Masters of Science in Kinesiology. 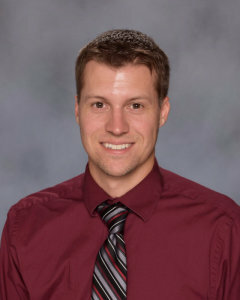 He teaches 4th grade Missouri and U.S. History, 5th grade World Geography, 6th grade World History, 7th grade American History and Religion, and 8th grade American History. He is also a robotics mentor/coach as part of the Enrichment Program. His educational philosophy is to create a learning environment that encourages student participation and creativity while pushing them to excel academically.